Welcome! Please log in to access our valuable resources and tools prepared to assist you! Thank you for your interest in our resources! Tulsa Lawyers for Children has a passion for representing abused and neglected children and educating volunteer attorneys able and willing to do the same. In this light, our website has been designed to assist our talented and passionate volunteer attorneys in the zealous representation of abused and neglected children. It is brimming with quality tools and resources to educate and empower attorneys from all fields of practice in this niche legal arena. This includes content from experts in their fields on client visitation, child development, the Indian Child Welfare Act, and Title 10A procedures; checklists and guides to ensure well-rounded representation of children; and regularly updated case law research to assist with motion and appellate practice. For our valued volunteers, these resources are free! Please contact our wonderful Program Coordinator, Sonya Pyles, to get your volunteer access code today! We are also proud to offer free access, with registration, to almost all of our resources, including our directory of Oklahoma Service Providers. This is not only a resource for attorneys representing children, but also those representing parents and even the State. We absolutely welcome employees of the Department of Human Services to register and use this directory to best serve the families of Oklahoma. Are you looking for a particular service and the waiting list at your usual provider is three months? Are you looking for culturally appropriate services? Do you need a Spanish speaking family therapist? 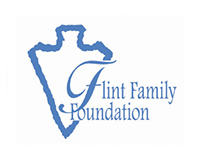 Does a family need assistance with food or clothing? We are continuously working to update this directory to help you find the most appropriate services! Is a service provider missing? Please let us know! In an effort to maintain the expenses of the website, content development, and training of our volunteers, please consider becoming a Patron of Tulsa Lawyers for Children. Your $50.00 donation will be put to work for the children of Tulsa County. And it is tax deductible! 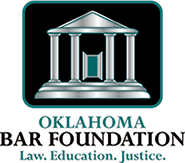 This Free registration provides attorneys and non-attorneys alike access to all of our valuable resources and tools, including our database of Oklahoma Service Providers. This registration is Free for our wonderful TLC Volunteers, providing full access to our resources and tools. Some practice tips are exclusively available to volunteers. This registration is an opportunity for attorneys and non-attorneys alike to access all of our free resources and tools while supporting TLC's mission to provide zealous advocacy for abused and neglected children!